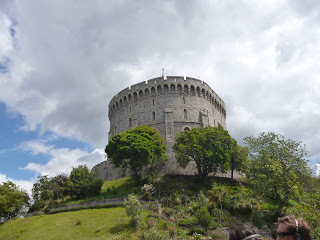 On Saturday we went to visit Windsor Castle. 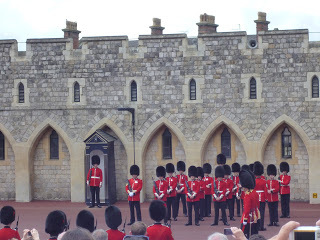 We saw the changing of the guards at the castle. 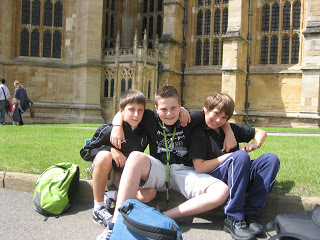 Flavio, Leonardo and Riccardo in front of St George’s Chapel inside the castle grounds. 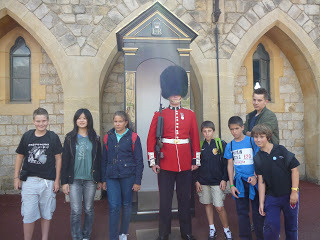 Monday 2nd July 2012: Trip to the London Eye and Westminster. 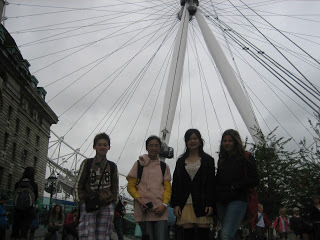 On Monday we braved the wind and rain and took the train to central London to go on the London Eye. 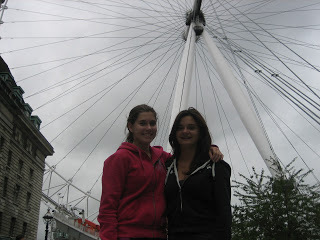 Nicole and Alexandra in front of the London Eye on a lovely summer’s day…. 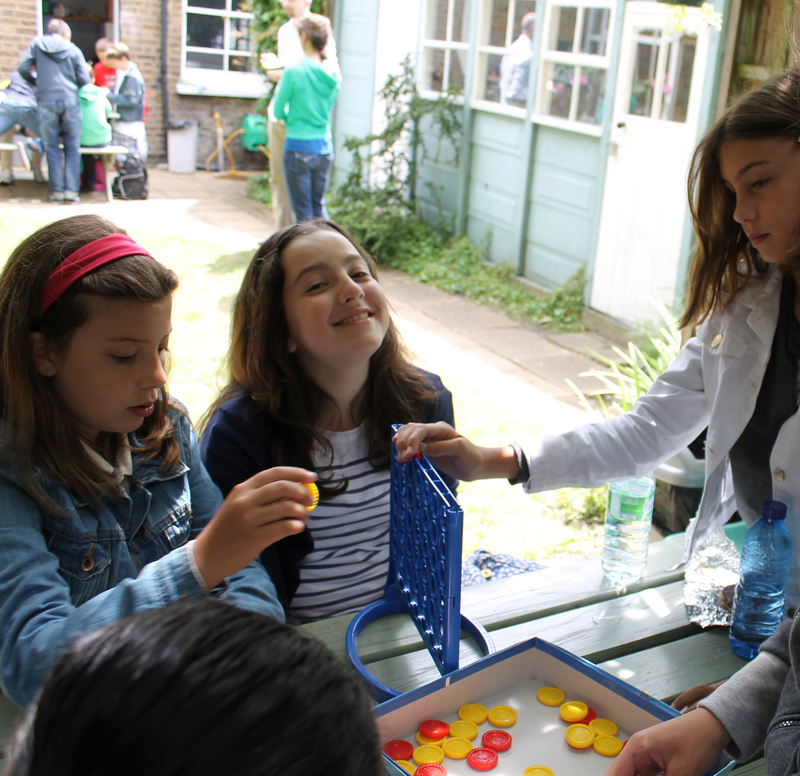 Antoine, Helen, Marie and Natalia. 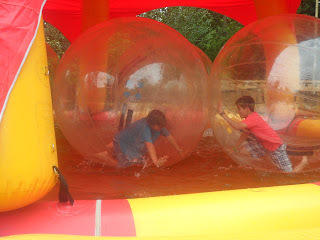 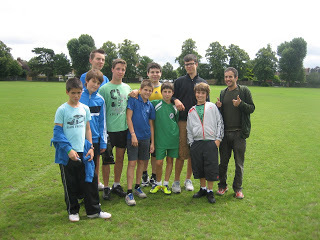 Yesterday some of us went to a local park to play the school’s first 5 a-side football game of 2012. 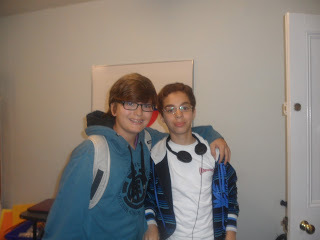 The two teams: Tomas, Amir, Kevin, Giulio, Matteo, Evhen, Flavio, Tommaso, Riccardo and Larry. 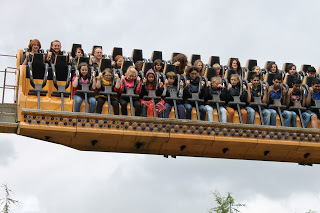 This Saturday we went to Chessington World of Aventures. 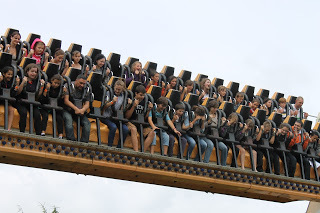 Ana, Riccardo and Ella on Rameses Revenge. 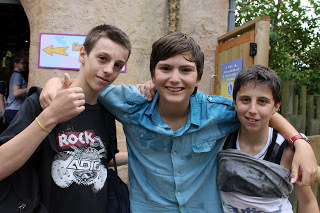 Tommaso, Guillermo, Flavio, Giulia and Giorgia about to get soaked on Rameses Revenge. 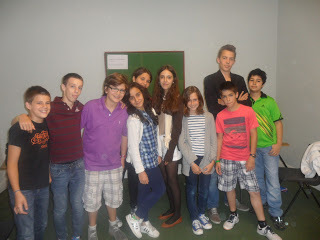 The Intermediate 1 class: Pietro, Matteo, Guillermo, Agatha, Giulia, Ines, Candela, Tomas, Kevin and Toprak. 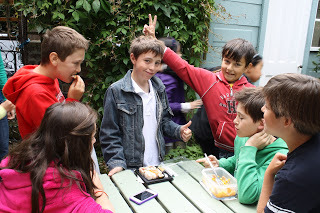 Thursday 12th July 2012: Lunchtime in the garden. 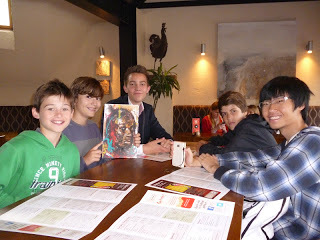 Louise, Matteo, Arnau, Jan, Antoine and Miguel. Anna, Anna and Elena playing Connect4. 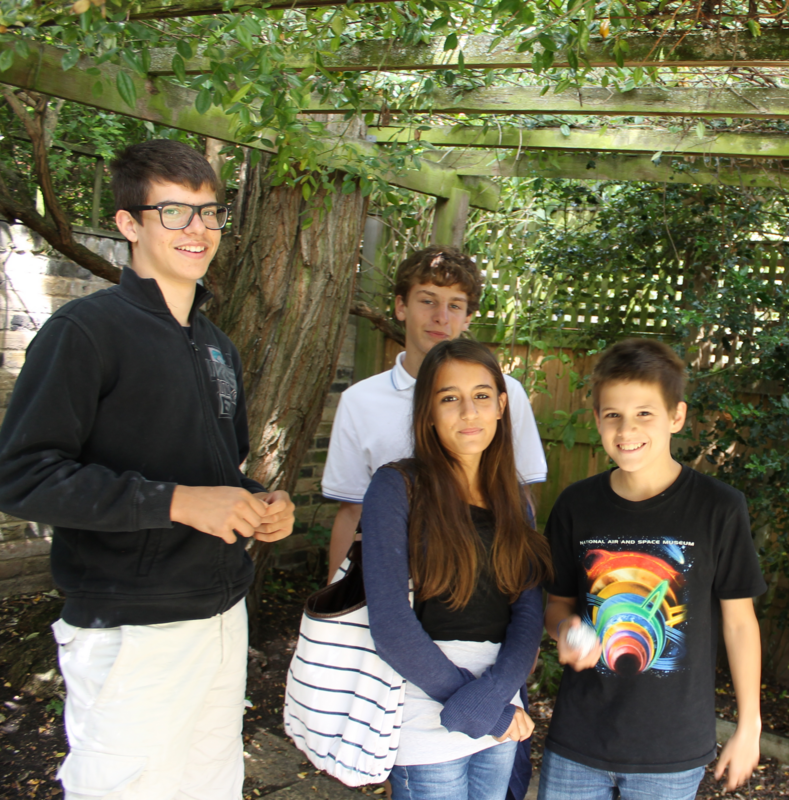 Tommaso, Marco, Lavinia and Pietro. 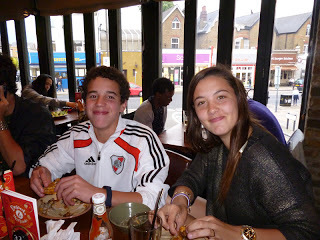 Last Friday evening a group of us went to Nandos in Wimbledon for a meal together. 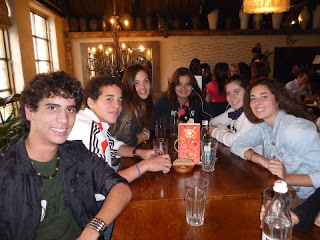 Ignathio, Bautista, Victoria, Alexandra, Nicole and Guilia. Antoine, Guillermo, Kevin, Fernando and Joshua. 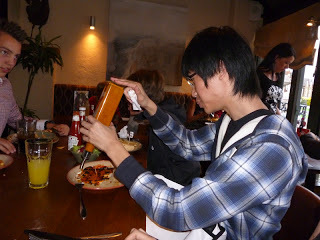 Joshua won the prize for the spiciest meal. 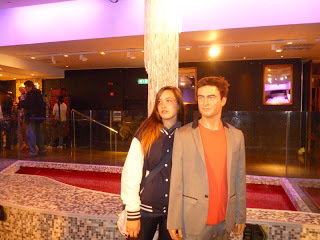 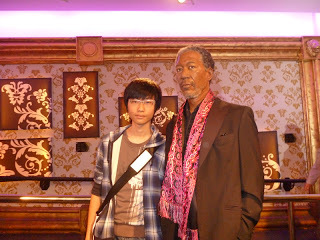 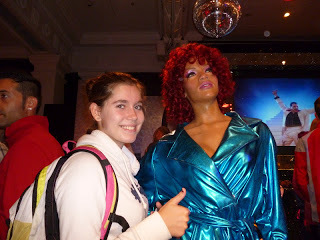 On Saturday a group of us went to Madame Tussauds in central London. 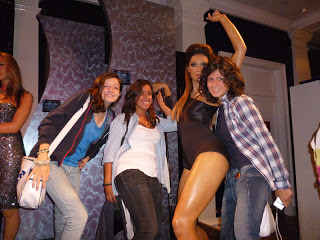 Anna Giulia, Simona and Benedetta posing with Beyonce. 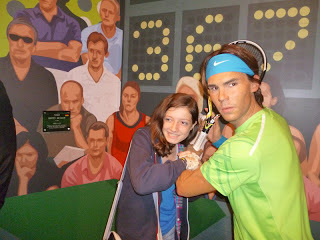 Anna Giulia and Rafael Nadal. 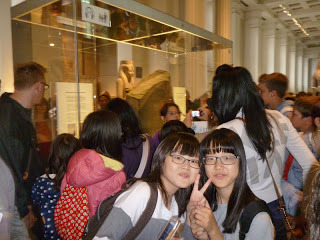 Monday 16th July: Trip to the British museum. 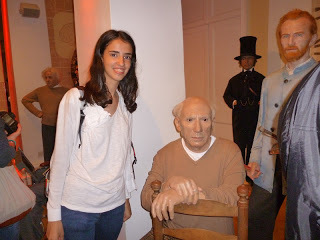 This Monday a group of us went to the British Museum. 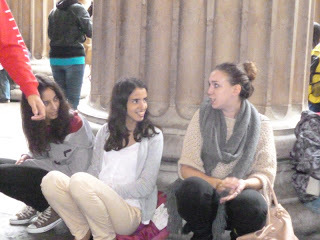 Cristina and Isabel talking to Emily outside the museum. 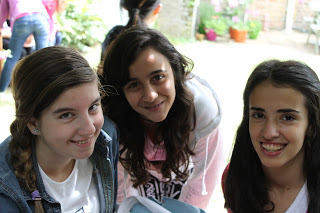 Jenny and Emily in front of the Rosetta Stone. 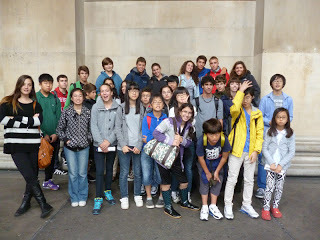 The group outside the British Museum. 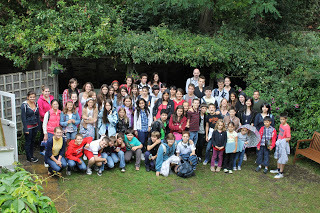 Friday 20th July 2012: School photo. 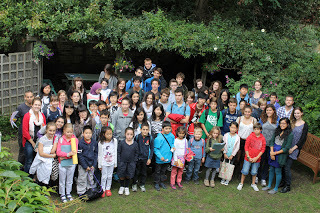 The students and teachers from our fourth week standing together in the school’s garden. 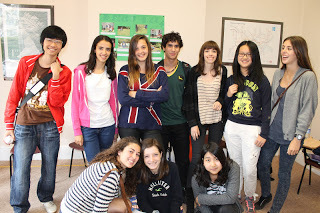 Joshua, Isabel, Victoria, Ignacio, Petra, Amy, Carolina, Giulia, Anna Giulia and Je-eun in their classsroom.